Oh my goodness, I don't think it would have liked being stepped-upon. Nice catch! Where you able to see what kind of snake it was? Great find, Misty! Glad you didn't step on it. Thanks for hosting, have a happy weekend! I'm glad you didn't and I suspect the snake was as well! A gawd!! That 'critter' would be slitherin' in my you know what!!! How creepy. Woaw... I am not a big fan of snakes,- glad you didn't step on it! Looks like a rather large snake. 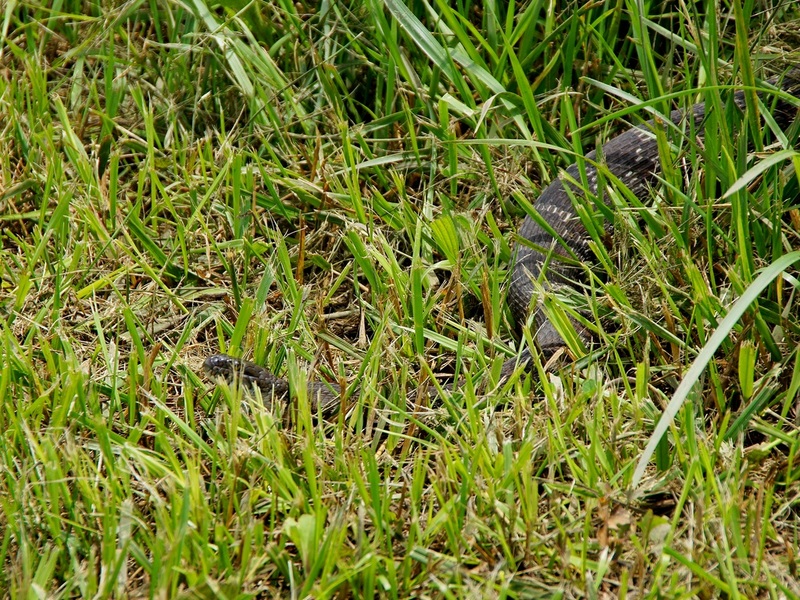 But then I guess Northern Water snakes can get rather large. Cool photo. It's a beautiful snake. I'm glad you didn't step on it. Thanks for hosting! It's pretty hard to spot in that thick grass. Nice shot. EEK! And he is big - I would have died. I'm such a girly-girl.